A November Notebook | Vermont Paddle Pups! November…it has teased us with warm sunny days, and brought us back to reality with single digit temperatures on some mornings….We had had snow, bright green grass, and the deep browns, russets,and greys of November woods. The cold of Winter is upon us, and we adjust to new activities, upgrade our gear, and seek to make our Vermont winter one which we can enjoy (though I am sure we will curse the weather more than once before May rolls around!). We present a short video notebook of the past month! Just click on the following link…..
We love winter here in Minnesota. We are thrilled to have some snow and cold weather, but the below zero stuff could wait a bit. Winter is a great time of year, we only curse it when we get sleet on our snow or in March when it is all melty and messy. Super video! The bikjoring picture looks a lot like the field in Stowe. I am right? If so, we are just about neighbors. 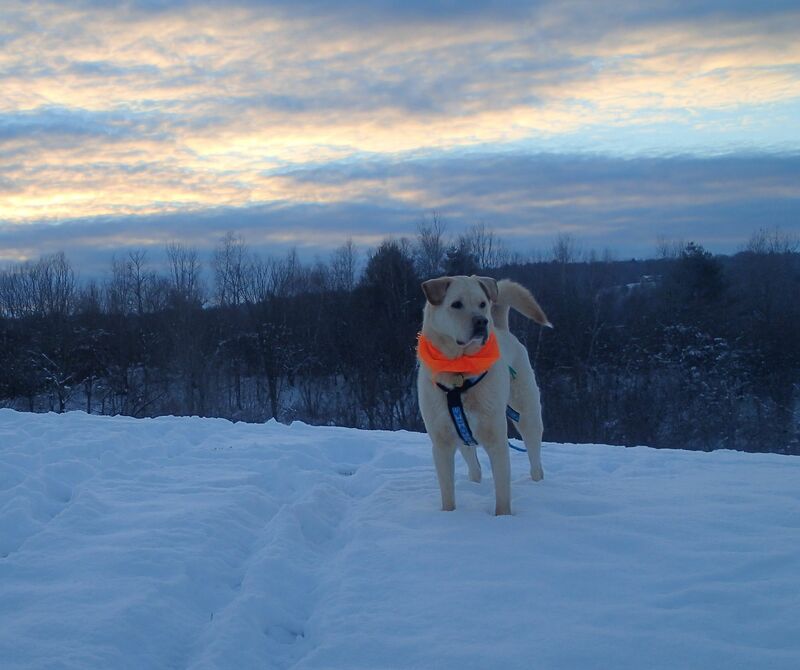 Great to see another VT dog blogger out there. Not sure if my last comment went through. If not, great video and it is wonderful to see another Vermont dog blogger out here. GO NEW ENGLAND! The trees overlooking the lake are simply stunning. Great photo! LOL looks like the weather couldn’t make up its mind.